shelly | Sophisticated Diva ~ A.K.A. Along came Polly! Miche retirement shell update! These shells are limited quantity and will retire soon! I just learned that THREE more loved CLASSIC Miche shells are on the retirement list and quantities are CRITICAL, and one petite shell is also scheduled for retirement! If you love these long time favorites, please get them now-supplies are getting very low, and once they’re gone–THEY’RE GONE!! 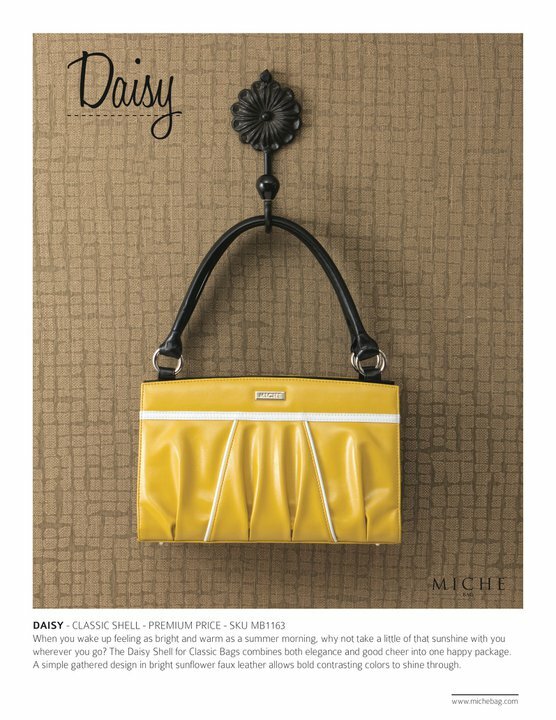 Welcome Miche Bag’s new hostess only shells! 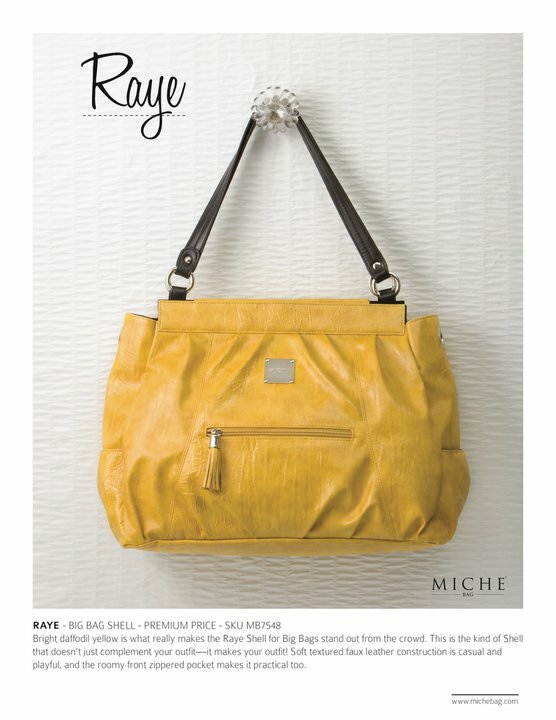 Welcome Tyra and Shae, the new Miche bag Hostess only shells available now-while supplies last? Update~January 2012 brings new hot HOSTESS EXCLUSIVE shells, Jill, Jillian, Miley, and Hazel!! 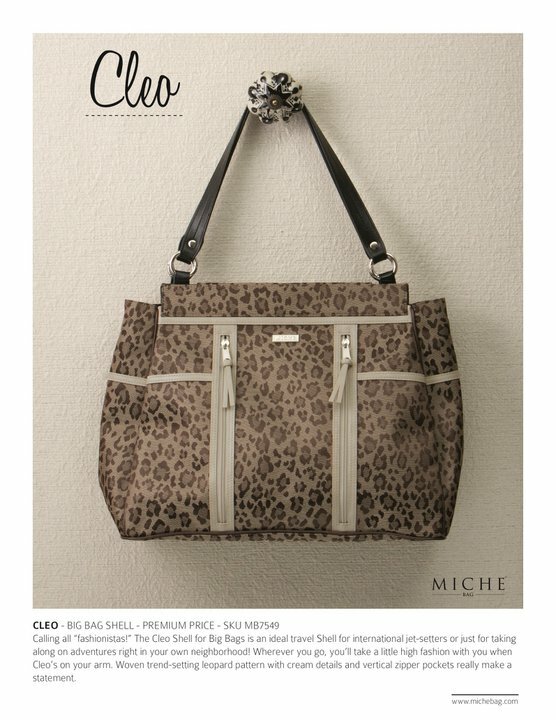 Do you want a unique Miche bag shell that’s rare, limited release, and only available to those hostessing a Miche bag party? 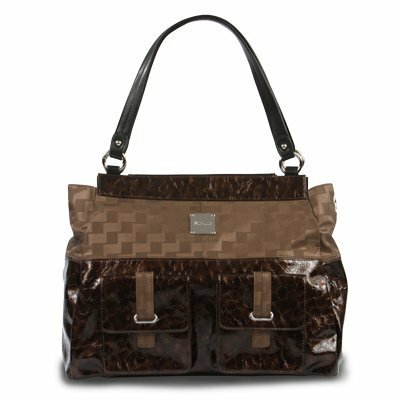 These are for you-just for hostessing a purse party with minimum sales requirement, contact me for details at sdhmhandbags@aol.com . 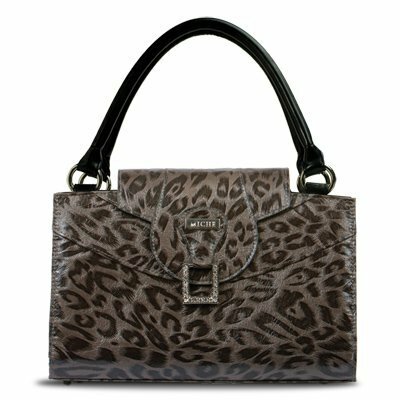 Hostessing a Miche bag party is fun, and reaching the sales goal is quite easy (especially when you gather a few outside orders to add to your party total)~ Women love the ease of style and versatility the Miche bag has to offer~change your look, outfit, or style within seconds! 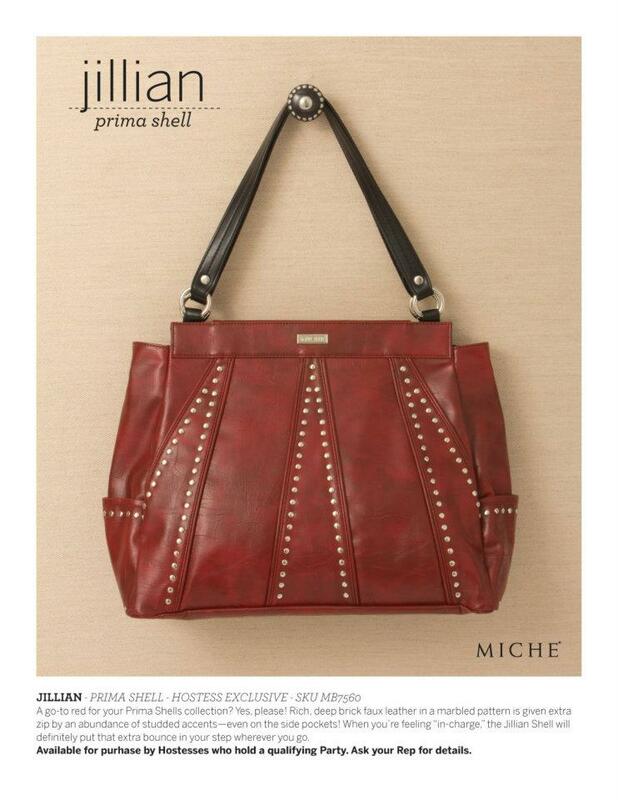 Don’t settle for “miche like knockoffs” go for the very best, you won’t be disappointed! For more MICHE BAG fun, follow me on FACEBOOK. New photos posted monthly, and updates posted weekly! Never miss out on a retiring shell again. 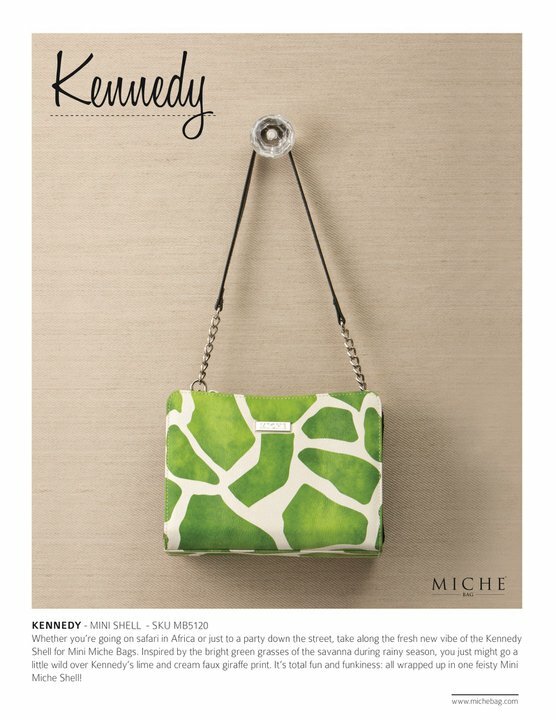 April 2011 Miche bag shells~simply beautiful! 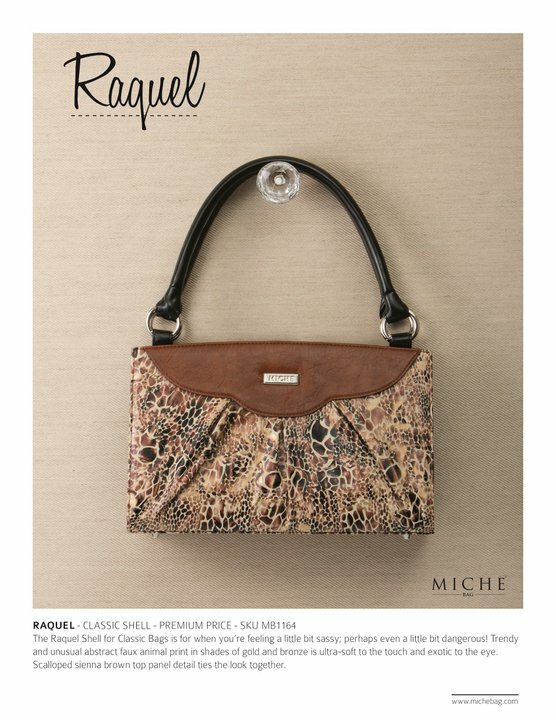 Miche bag has done it again with the new April releases~ Sure to please everyone! 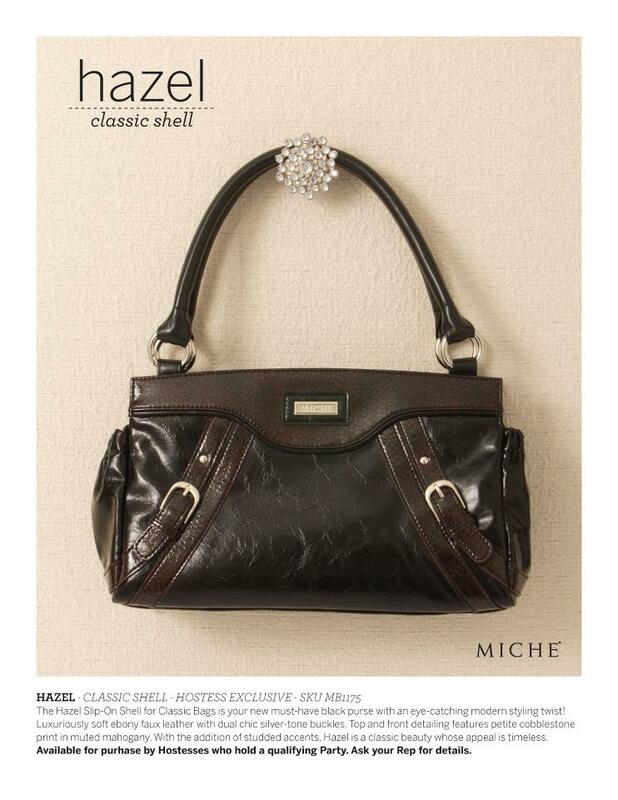 Miche bags make a fabulous Mother’s day gift, but order soon–shipping within the US 10-14 business days! 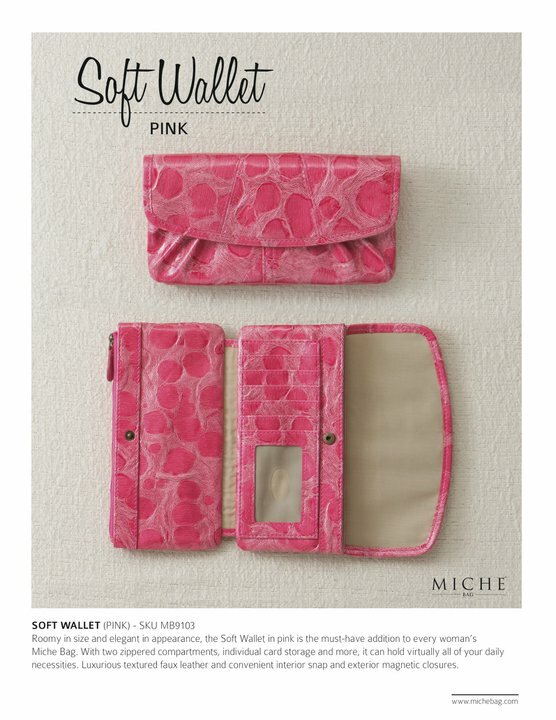 Also, Miche bag is making new additions with 2 new soft wallets, one in pink, one in black. 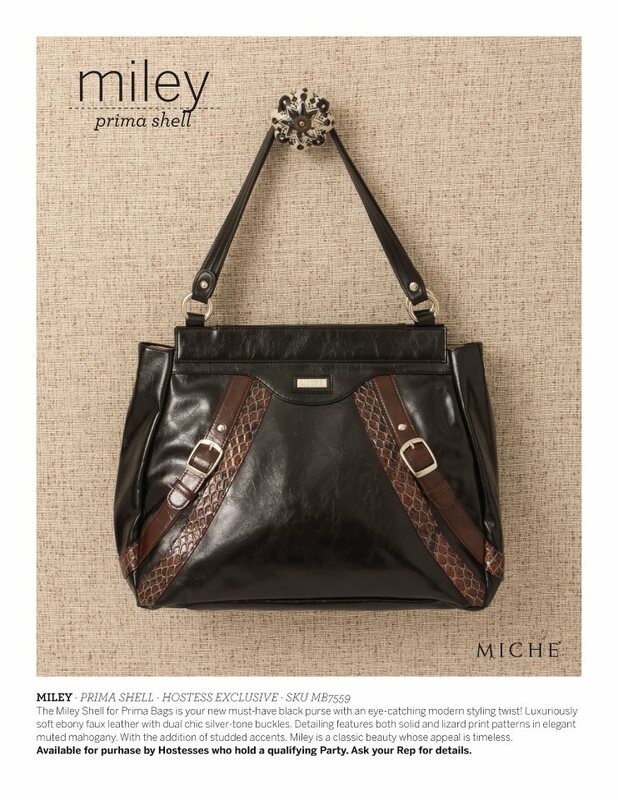 To view miche bag updates and availability, follow LOVE MY MICHE BAG ~ new photos posted monthly, as well as availability updates and sales! To order, contact michebagparties@aol.com -paypal, visa, mastercard accepted-or call 815-721-5549. I also found information about the May shells, Naomi, Jayne, Wendi, and Brianna! The photos are posted on my facebook page! They are so pretty, and will compliment every summer wardrobe! I’m so happy that new shells are released monthly–it gives me so much enjoyment to change my shells! I’m up for a little shopping today, and playing with my new camera (just in time for my daughter’s wedding), after I deliver to my hostess from last week-and after that I will come home and relax, read a bit-and enjoy the scent of those candles! Have a good weekend–don’t forget to add my facebook page and become a fan, so you can stay informed!